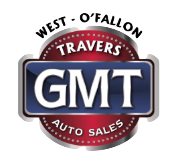 Our collection of used car and RV dealerships proudly serves all Midwest drivers, so whether you're in O'Fallon, Hazelwood or Florissant, Missouri, there's a Travers Automotive & RV Group nearby to assist with your needs. Our auto group has been in business for over 20 years, and we have more than 1,000 vehicle options for you to explore across our seven locations, so if you're looking for a rugged Ford pickup, an adventurous pre-owned Jeep or a family-friendly Starcraft RV, there's a competitively priced model for you at one of our conveniently located Missouri locations. We provide for the used car needs of all drivers in St. Louis, Missouri, so don't hesitate to contact us with your pre-owned car requirements today. We carry well-maintained vehicles from reputable brands, including the Cadillac, Mercedes-Benz, Ram, and Toyota lineups, and thanks to our interactive auto group website, motorists in Eureka, MO can shop our used cars for sale online with ease. Contact us to learn more about that Buick that has caught your eye or to hear about the models that come backed by a factory warranty! Looking for an RV? Our dealership group can assist with that, too! From clean Forest River models to driver-friendly priced Highland Ridge RV options and rides from the Heartland brand, you can rest assured your RV needs will be provided for at your local Travers Automotive & RV Group. Not sure where to get your RV search started? Contact your local Travers dealership. Our professional staff is familiar with all the options we carry and will happily customize a shopping plan that fulfills all your search requirements. Our dedicated car, truck, SUV, and RV group specializes in helping used car shoppers with credit challenges find the late model vehicle that they deserve. That's why our Travers Automotive & RV Group works with motorists of all credit scores. Our qualified buyers can enjoy rates that start as low as 1.9%, and thanks to our online credit application, shoppers can express interest in our services from their O'Fallon, Missouri home. Don't delay, apply today! With three service center locations to assist you, one in Florissant, Eureka and O'Fallon, Missouri, you can ensure your ride keeps up with a maintenance plan. Our automotive group keeps prices competitive, and we offer an array of service specials to take advantage of. Whether you're interested in general vehicle maintenance care, are looking for diagnostic services, need a quick inspection or involved engine work, our used car and RV dealerships' service centers in Missouri are here for you. Book an appointment online now! Whether you choose to visit us in Eureka, O'Fallon, St. Louis, Hazelwood or Florissant, Missouri, you can rest assured you'll be treated to the professional used car trade-in, purchase, finance or maintenance process that you deserve. Don't hesitate to learn more about our Travers Automotive & RV Group before finding your nearest location! We look forward to welcoming you soon.